HSBC provides institutional clients comprehensive Futures and over the counter (OTC) Derivatives Clearing Services (DCS). 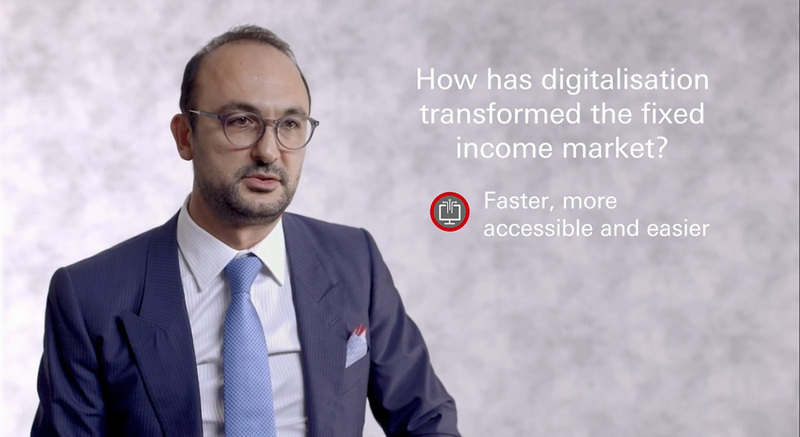 With HSBC’s worldwide global presence, customers can confidently execute and clear listed Futures and Options products, as well as clear both mandatory and eligible interest rate swaps (IRS), Credit Default Swaps (CDS) and FX Non-Deliverable Forwards (NDFs). HSBC DCS is supported by a dedicated client coverage team located across the globe. Customers can rely on HSBC’s strong balance sheet and experienced team to provide the necessary derivatives services that they require. HSBC offers global access and bespoke coverage through a fully integrated listed derivatives execution and clearing service that is supported by a dedicated and experienced client service team. With specialist sales desks in US, Europe and Asia, we operate across all the time zones supporting the ‘follow-the-sun’ coverage model. Through our strong local presence in the 3 regions our clients benefit from a significant advantage in understanding the complexities of domestic markets. We offer a number of electronic trading platforms and the ability for clients to connect to HSBC via Financial Information eXchange (FIX) Connectivity using their own proprietary trading system to directly access futures and options markets and to order route to our global voice execution desks (FIX Care). Clients can also take advantage of our intraday reporting solutions and fully customisable reports as well as secure file transfer protocol (sFTP) and FIX allocation and average pricing, automated margining and exercise and assignment processes within a 24/6 clearing and client services support framework. Being committed to operational excellence in clearing services, our web-based enquiry and reporting system, Futures Direct Clearing, allows clients to keep track of trading activities. HSBC offers execution and clearing on the world's major futures and options exchanges worldwide with access to over 30 exchanges either as a direct member or through third-party intermediaries, helping you with trade executions and clearing. HSBC delivered the first phase of its OTC Clearing Service in early 2011. This allowed clients to clear interest rate swaps via LCH Clearnet for its European SwapClear rates service via HSBC Bank plc. A second full release went live later in 2011 which increased capacity and enhanced the functionality of the initial offering. We also offer clearing via our US clearing entity, HSBC Securities USA Inc. and via our Asian entity, Hong Kong and Shanghai Banking Corporation. HSBC are able to clear IRS, CDS and FX products at a number of major central clearing party’s (CCPs) and will add other asset classes and CCPs as these become available. We support all account and segregation options offered by the CCPs in order to maximize client protection. We have a significant investment programme and from a technology perspective and have not utilised unsuitable legacy platforms. HSBC has built a dedicated reporting portal for OTC Clearing with clear and simple reports that can be fully customised where required. The portal also enables clients to calculate the margin requirements for trades based on their existing portfolio. HSBC’s agnostic IT and commercial approach to clearing market infrastructure platforms; affirmation and e-commerce platforms (SEFs, OTFs, MTFs etc.) means that clients can connect to any platform that interfaces with a CCP supported by HSBC.